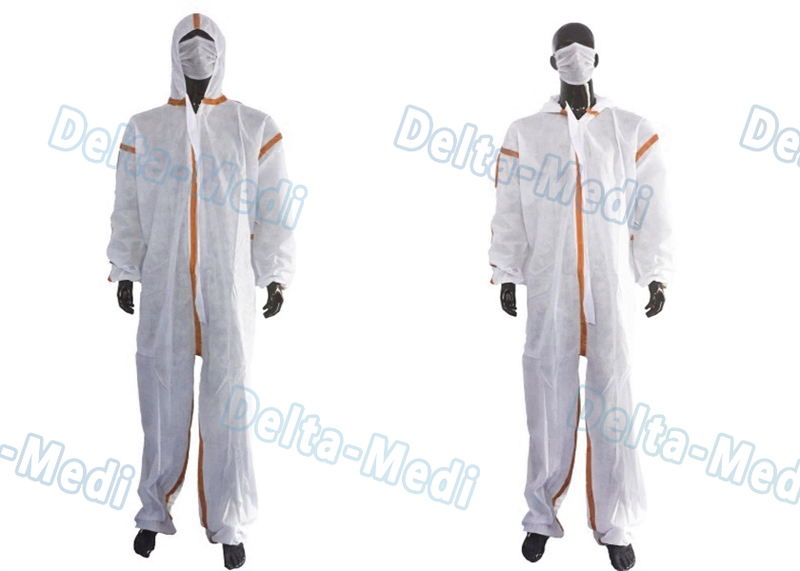 Disposable PP 40-60GSM Coverall Hood,Elastic Cuffs and Ankles , Front Zipper and storm flap, no boots,The stitch melt-sew seal stripe. The coveralls have to match the following specs. Cat.3 Type 5-6 with a sealed taped seam. Protective Coverall is designed to protect against certain light liquid splashes (type 6) and hazardous dusts (type 5). 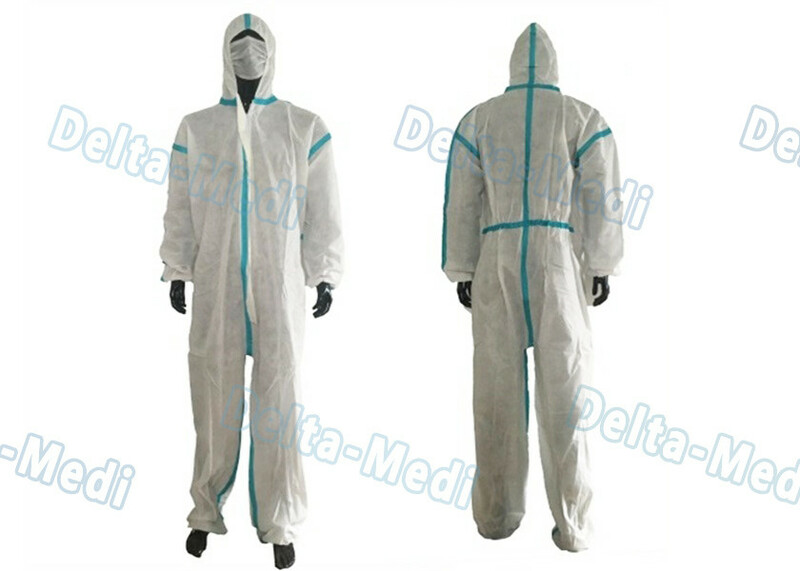 The coveralls are constructed of quality laminated microporous material. The elastic waist, ankles, and wrists are convenient and provide freedom to move around. In addition,there is a two-way zipper and storm flap.